S. Northeast, and the U.S. Southern states. The majority of mainstream scientists consider the stories of Bigfoot to be a combination of myth and hoax. Bigfoot witnesses generally describe a 7 to 10 feet (2.1 to 2.7 m) tall, ape-like (or some would say more human-like) bipedal creature. Broad-shouldered and strongly-built, it has small eyes, a pronounced eyebrow, and a small, pointed, low-set head that is alternately reported as crested and rounded. 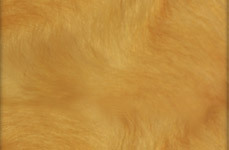 Excepting the face, palms of the hands and soles of the feet, Bigfoot's body is covered with short shaggy hair that is usually black or dark brown in colour; though rust, reddish, sandy or silver are occasionally reported. Enormous human-like footprints attributed to this creature gave rise to the name "Bigfoot" (see "Bigfoot" below). Ecologist Robert Michael Pyle describes them as follows: "Tracks commonly measure fifteen to twenty inches or more in length. They have five toes, a double-muscle ball, and a wide arch" (Pyle, 3). A pervasive foul odor, reminiscent of feces, sewage or strong human body odor, is sometimes associated with Bigfoot. Sasquatch vocalizations have been described in some sightings as high-pitched shrieks or whistles, and in others as low-pitched, guttural grunting or squealing. Most sightings have been at night, leading to speculation that Sasquatch are nocturnal. Some witnesses reported what Pyle calls "red eyeshine," similar to that of nocturnal animals (Pyle, 209). Individual males are more frequently reported; less often do witnesses report pairs, family groups, or females. Regarding Bigfoot's diet, anthropologist Grover Krantz writes, "he kinds of food that are consumed by sasquatches are reported by many observers; how many of these reports are accurate is a matter of diverse opinion" (Krantz, 159). He also adds, "In general I would describe the sasquatch as omnivorous. It is probably mainly a vegetarian and what might be described as an 'opportunistic carnivore'" (ibid, 160-161). Along with the Loch Ness Monster and the Yeti (Abominable Snowman), Bigfoot is one of the more famous creatures in cryptozoology. While most Bigfoot encounters (the best-known example included) took place in the Pacific Northwest, similar encounters have been reported throughout North America. The modern phenomenon began in 1958 when enormous footprints were reported in Humboldt County, California, though there had been accounts of large, hairy, apelike or "wild man" creatures (or reports of inexplicably large, human-like footprints) from the Pacific Northwest dating as far back as the late 18th century. Some researchers have argued that these earlier accounts are consistent with more contemporary Bigfoot reports, while critics doubt their authenticity and question the accuracy of interpreting older reports through modern preconceptions. 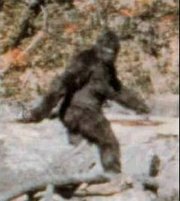 Mainstream scientists have found existing Bigfoot evidence unpersuasive, and generally consider such evidence and sightings as the product of mythology and/or folklore. For instance, northern Europe's former belief in trolls has been suggested to be similar to Bigfoot legends. Misidentification or hoaxes are other counterarguments. Many academics and professionals contend that further study is a waste of time, but others argue that though current evidence may be lacking, evidence should be evaluated objectively as it arises. Others (including an active subculture composed primarily of amateurs) continue research and consider the existence of Bigfoot a possibility. Primatologist John Napier inserts that "the term Bigfoot has been in colloquial use since the early 1920's to describe large, unaccountable human-like footprints in the Pacific northwest" (Napier, 74). However, according to Loren Coleman and Jerome Clark, Andrew Genzoli deserves credit for the first formal use of the word on October 5, 1958 (Coleman and Clark, 39-40). Genzoli was a columnist and editor at The Humbolt Times, and that day's front page story showed Jerry Crew, a bulldozer operator on a road-building crew, holding an enormous plaster cast of a footprint. The text began, "While the tracks of old Big Foot have been in evidence for some time...," before detailing the workers' claims to have discovered an enormous footprint at an isolated work site . Genzoli's story was picked up by the Associated Press and garnered international attention, culminating several years later into what anthropologist Grover Krantz characterized as "sasquatch mania" (Krantz, 5). It is worth noting that Crew was overseen by Wilbur Wallace, brother of Ray Wallace, who both later claimed to have conclusive evidence of Bigfoot's existence and to have hoaxed substantial amounts of it. Wallace was poorly regarded by many who took the subject seriously. Napier wrote, "I do not feel impressed with Mr. Wallace's story" regarding having over 15,000 feet of film showing Bigfoot (Napier, 89). The term "Sasquatch" was coined in the 1920s by J.W. Burns, a school teacher at a British Columbian Chehalis reservation. Burns collected Native American accounts regarding large, hairy creatures said to live in the wild. Loren Coleman and Jerome Clark wrote that Burns' "Native American informants called these beasts by various names, including 'sokqueatl' and 'soss-q'tal'" (Coleman and Clark, p. 215). Burns noted the phonetically similar names for the creatures and decided to invent one term for them all. That name, sasquatch, happens to be similar to the word for the beast in the Chehalis dialect of Halkemeylem, sesqac (c=ts). Interestingly, Chehalis is in the area where historic sightings are densest, and is generally considered to be, if anywhere, "sasquatch territory". The Sasquatch is, in fact, a local clan totem and the band is nonchalant about the creature's existence, except to say that the creature is camera-shy and would rather be left alone. Prices current as of last update, 04/18/19 12:21pm.